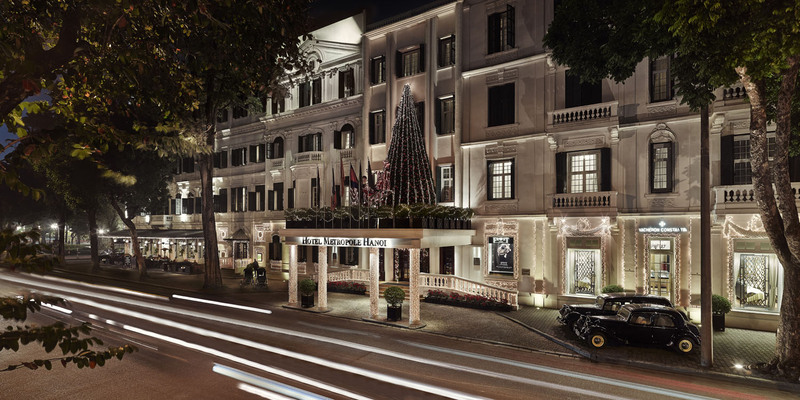 Sofitel Legend Metropole Hanoi kicks off the holiday season with an official invitation-only Christmas Lights Ceremony on December 1. For the first time, British cycling legend David Lloyd will join forces with six foreign ambassadors to take part in a bicycle ‘race’ to generate enough electricity to turn on the hotel’s yuletide sign and lights. Lloyd, who recently won the Laguna Lang Co triathlon and the Vietnam Mountain Marathon in Sapa, will compete against six other cyclists including the UK, Italian, and Swiss ambassadors to Vietnam as well as two ambassadors from the European Union Delegation to Vietnam. The bicycle ‘race’ is part of a joint effort to raise awareness and funds for Newborns Vietnam, a UK registered charity dedicated to reducing neonatal mortality in Southeast Asia. Meanwhile, a soaring 15-metre Christmas tree takes centre stage on the hotel’s rooftop garden, Le Balcon. This year’s evergreen will be illuminated with more than 50,000 bedazzling lights and decorated with some 1,250 Vietnamese conical hats. In addition, a life-sized gingerbread house will be on show at L’Epicerie du Metropole, while a 4-metre evergreen will be on display in the Metropole’s lobby – festooned with 38 blue “wishing cards” written by underprivileged children from the Blue Dragon Children’s Foundation. Based in Hanoi, Blue Dragon is an NGO that helps street kids, children from very poor families, and victims of human trafficking and slavery throughout Vietnam. 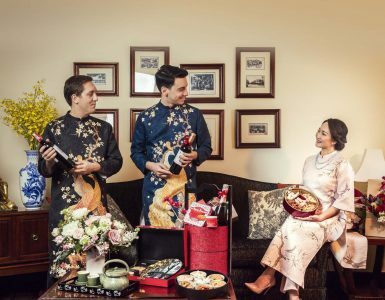 In the spirit of the season, more than thirty Metropole staff will dress up and serenade guests with popular Christmas carols in five languages, including French and Vietnamese. The staff will perform over two days, on Christmas Eve and Christmas Day, so that they may reach out to the many visitors staying at the hotel during the festive period. Christmas Eve. Five special Christmas Eve dinners are on offer at the Metropole on Dec. 24, each with a distinct theme and at price points that range from 1,9500,000 VND to 3,960,000. – For a little holiday pampering, Le Spa du Metropole is offering a 15% discount on their signature Hanakasumi ritual. The 110-minute, Japanese-inspired treatment includes a special body scrub to help reinvigorate the skin, ease muscle tension, and promote circulation. – And for shoppers, the hotel’s delicatessen, L’Epicerie, is offering a range of delectable gourmet gifts, including foie gras, Fine de Claire oysters and turkey imported from the U.S., as well as the pastry chef’s piece de resistance, a traditional French Christmas log cake, known as “Buche de Noel”. – Additionally, a special holiday brochure will be gifted to all guests staying at the hotel during the festive season. For additional pricing and more information, please contact +84 (02) 4 38266919 ext. 8215 or email h1555-fb5@sofitel.com.